Whether you are a homeowner or business owner in Denton, TX, water damage of any kind can lead to a number of costly problems. 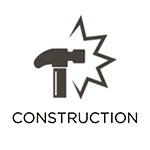 Structural elements of your building can be put at risk, certain materials can become discolored or damaged, and valuable items can be destroyed. 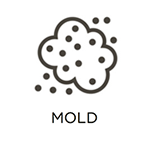 Additionally, mold growth is more likely to develop due to the excess moisture, which is yet another unpleasant issue. At RestorationMaster, we provide frozen pipe water damage restoration in the Denton, TX area. In this case, our technicians will respond immediately to the emergency, arriving with all equipment needed to extract the water and start the drying process. It is not uncommon for the temperature to reach below freezing during winter months in Texas. However, there is a common misconception that it is a rare event. As a result, many property owners are left unprepared for winter-related disasters, such as frozen pipes. If some of your pipes do begin to freeze (which can be identified by low water pressure, or the development of frost, ice, or bulges on the pipes), then you should immediately seek them out. Once problem pipes are located, you should warm them with increased insulation, an infrared lamp, a hairdryer, or a space heater in the general vicinity. 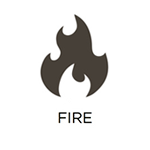 But you should never use an open flame. 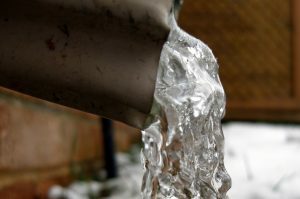 At RestorationMaster, we provide complete water damage cleanup services in the event that your pipes freeze or rupture. 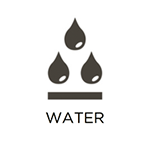 This includes removing the water, restoring damaged areas, and salvaging your belongings as best as possible. All of our technicians are highly trained and experienced in water damage restoration services, as well as reconstruction and item repair. We even address mold growth when it occurs as a result of excess moisture being released from the pipe. We are available 24 hours a day to respond to your call, which can drastically reduce the level of damage sustained. When pipes burst, hundreds of gallons of water can be released. If this happens to you, shut down your water supply as soon as possible, and give us a call. The longer you wait, the harder it will be to restore your valuable personal belongings, business equipment, and property in general. Our RestorationMaster representatives can be reached 24/7 at (972) 362-0999 in the case of emergencies. We service homeowners and business owners in the Denton, TX, area.